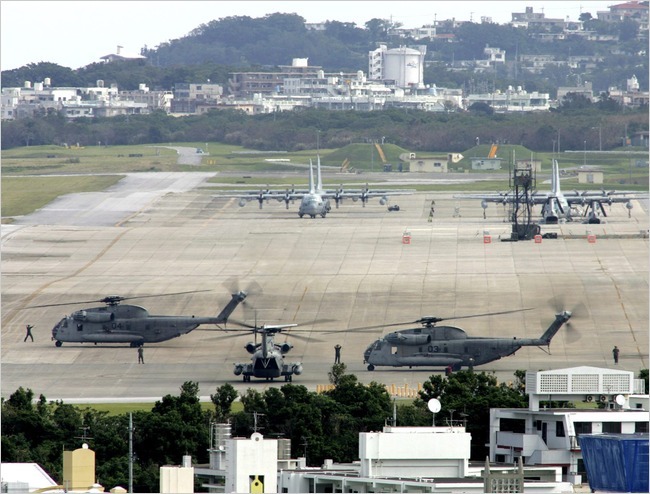 The Pentagon said on Monday it respected Japan’s request to consider alternatives to the relocation of a U.S. air base on Okinawa island but stopped short of pledging to explore new options to soothe strained ties between the allies. The comments by a Pentagon spokesman came as U.S. Defense Secretary Robert Gates met Japan’s foreign minister at the Pentagon, talks that touched on the future of Futenma Air Station, which is home to about 2,000 Marines. To read the full story at The China Post, click here. Mike Mullen’s 42 years in the military earned him a chest full of ribbons, but never did he do something braver than what he did on Capitol Hill on Tuesday. In a packed committee room, the chairman of the Joint Chiefs of Staff looked hostile Republican senators in the eye and told them unwelcome news: He thinks gays should be allowed to serve openly in the armed forces he commands. “Speaking for myself and myself only, it is my personal belief that allowing gays and lesbians to serve openly would be the right thing to do,” the nation’s top military officer told the members of the Senate Armed Services Committee.